Big enough for the job, small enough to pack along with you. The Outdoorsman Compact Hatchet is the perfect tool to throw in when space is at a premium. 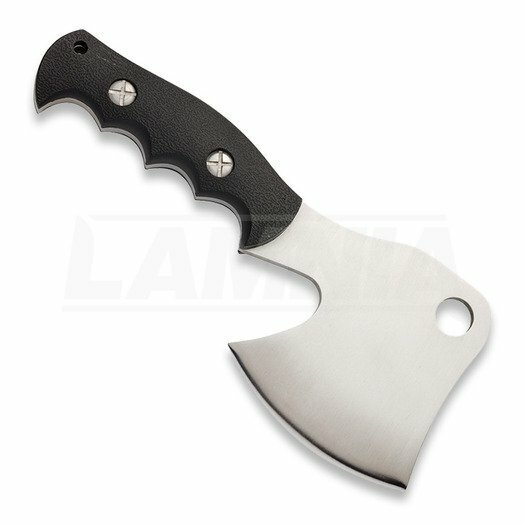 Utility/Backpacking hatchet, one-piece head with convex ground 5Cr steel, full-tang construction with polymer finger groove scales, hanging eyelet, and lanyard eyelet. Nylon belt sheath with snap closure included. Abyste získali dopravu zdarma, chybí vám objednat zboží za Kč 1 492!